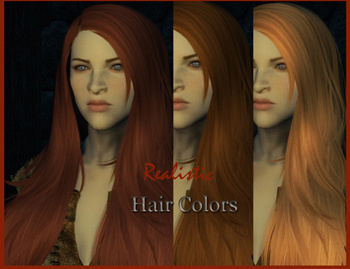 New hair realistic and vibrant colors to replace the Bethesda vanilla default haircolors. 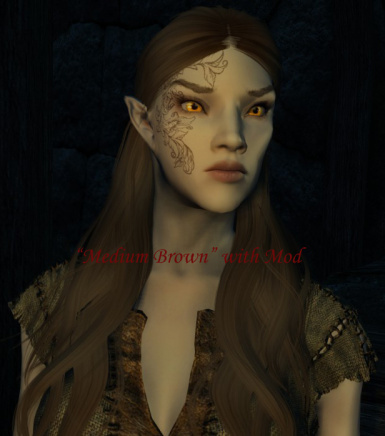 Included a merged patch for my new mod, Pale Beauty. Be Kind and Please Endorse if you like this mod. All modders appreciate your appreciation. 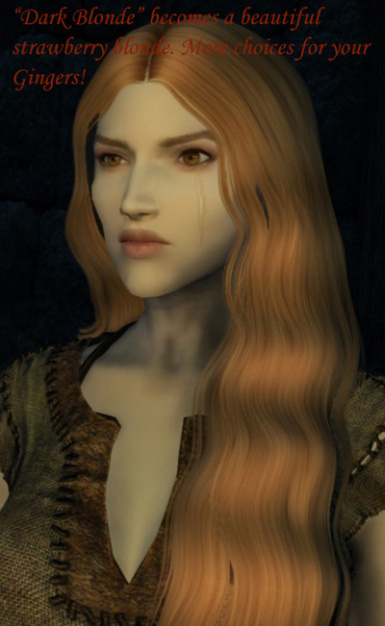 Have you ever looked at the hair colors in Skyrim and thought to yourself, "these are terrible" ? Well, I have. Most of the colors are dull looking, washed out, and not very realistic. But it's the "blondes" that really annoyed me. Most of them have a strange greenish tint to them that makes the character look as if they have stayed in the swimming pool for too long. You'd think that they would have done better in a game where half the population is blonde! Well, I've finally corrected the situation, after many hours of testing and fiddling in the creation kit. Inspired by Pooklet (from Sims 2 fame), I worked hard to come up with all new vibrant and realistic red, blonde and brunette hair tones. While this won't look the same in everyone's game, I think most people that pay attention to details will really appreciate this file. Details about the colors and why I choose can be found in the "articles" section. Okay people, if you have Alternate Start you need to load Realistic Hair Colors at the very bottom. 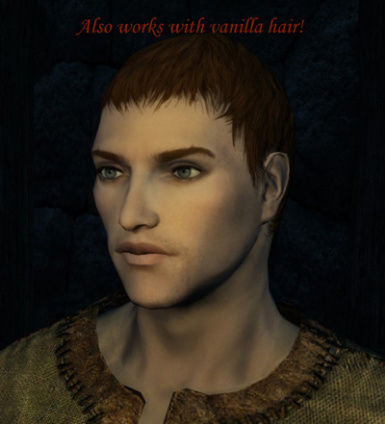 Realistic Hair Colors will work with your own player character and unmodded NPCs. 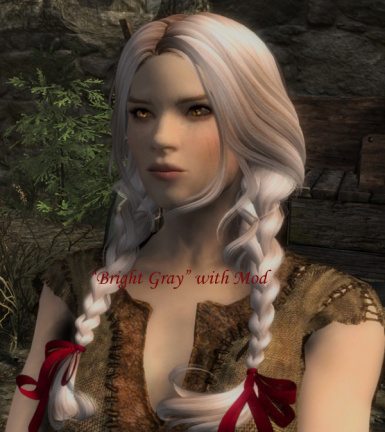 But as far as I can tell, it won't work with other mods that alter character's appearance. 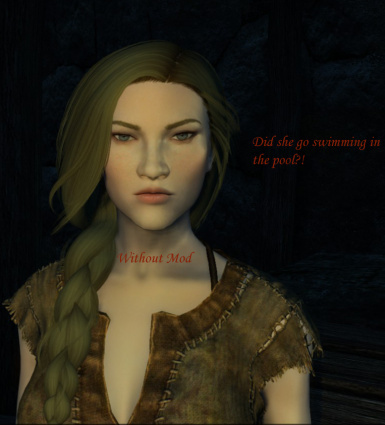 This is due to the facegen files and the way that some mod authors package their mods. So for instance if you are using Apachii Skyhair and creating a new character, this file will work for your character. 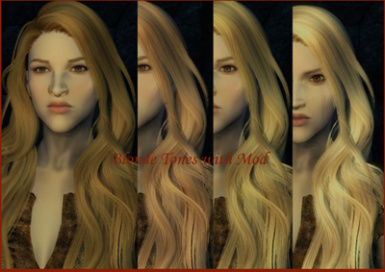 But if you have mods in that alter appearance using the Nifscope technique, such as Bijin Warmaidens, this won't work for them. The author would need to update the colors in that mod to fit mine. 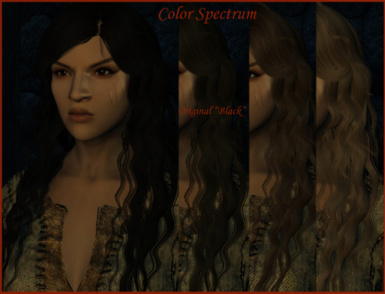 Special Thanks goes out to Sarinia, who inspired me with her own excellent hair color mod, and then gave me advice on how to make my own- a rare treat here on the Nexis. Also to Pooklet, for the inspiration in the first place. If you are looking for the Oldrim file, Shiva182 has kindly ported it. Thank you Shiva! Find it here.